We will always help you to have a 100% positive happy buying experience. Add to Favourites. made with love by. The item has the Georg Jensen stamp as has the ribbons attached with Georg Jensen printed. 2014 TREE - George Jensen Christmas Decoration - silver / palladium. The Christmas Decorations would look delightful displayed on a branch in a vase or on the Christmas tree. VERY CUTE Artificial Feather Robin Bird Christmas Tree Decoration Craft. 10x Robin bird. The bird with wire can be tied to a tree. 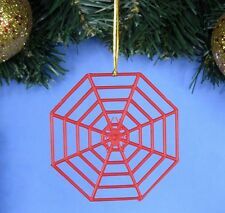 Ideal for Christmas Decorations. We are a young and dynamic team made up of a number of recent university graduates in China. 12pcs Simulation birds. Use place: Refrigerator stickers, window decoration, simulation flowers, weddings and so on. Specifications: A box is 12pcs, 6 color, 2 per each color. Due to the different display and different light, the picture may not show the actual color of the item. You're sure to get yourself in a twist! Spin the spinner and make your move, placing the correct part of your body on one of the circles of the colour demanded by the spinner. Twist yourself around all the other players to make sure you reach your circle. BUY 2 GET 1 FREE, Value ! Limited Time Offer ! Makes TWO GALLONS of Fluffy Artificial Snow in Seconds! Just add water and the powder instantly erupts into amazing artificial snow that looks and feels like the real thing. It's the latest technology used by movie makers to create incredibly realistic snow scenes. Ceramic Egg Shapes to decorate x 4. 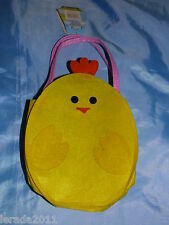 Each egg is 9 cm x 6.5 cm x 0.5 cm and has a red hanging ribbon. The eggs are white, unglazed ceramic. 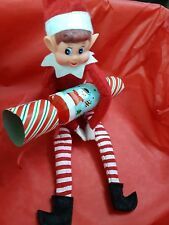 Featuring long legs, a soft body and vinyl face, this elf is one of the stars of the Elves Behavin' Badly range. 12" / 30cm girl elf. Unit Weight: 0.054 kgs approx. All orders placed during the. Most alligator clip ends will be lined with ribbon to blend with the design of the hair accessory. - Great for babies, toddlers and young girls to wear. Perfect gifts for kids. Founded in 2017we work tirelessly to source products at great prices so we can be competitive in the marketplace. We work with all the leading manufacturers and distributors to ensure we bring you the best and latest products. The item has the Georg Jensen stamp and a salmon pink ribbon attached with Georg Jensen printed. New George Jensen Christmas Decoration 2013 - Silver Christmas Crown. Christmas tree bauble, Personalised Family Bauble, Christmas tree, Family, Love! There's more to decorating at Christmas than just putting the star on top of the tree. There are many other Christmas decorations that can add to the festive feel of a home. Perennial favourites of tinsel and baubles can be complemented by little robin birds that tie onto the tree, perfect for a real wood tree. Artificial snow artfully arranged around the base of the tree will help enhance the illusion of a real outdoor tree in the home. There are many different types of fluffy artificial snow and magic ice available, some are single use only while others are reusable so the effect can be created year after year, so there are types of snow to suit every Christmas scene. Christmas craft kits are perfect for adding a touch of festive DIY charm to your home. 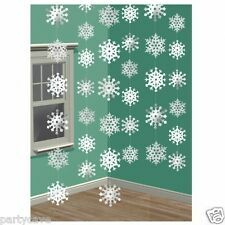 Some feature snowflakes made out of beads and glass pens that allow a snowy scene to be drawn directly onto a window to mimic the look of a white Christmas. Polystyrene balls can be used to make baubles for Christmas trees or can be hung individually from the ceiling to create a luxe effect. Metallic silver, gold or sequin ribbons are perfect for making festive table runners and chair tie backs to ensure the big Christmas dinner looks super smart. For many people, novelty decorations are the ideal way to inject a bit of fun into the holiday season. Novelty Christmas toilet seat covers are a very simple way to spread festive cheer into the smallest room in the house with very little effort. Colour changing outdoor light bulbs and string sets are an easy way to make the outside of any building, or a garden, look merry and bright. Battery or solar powered lights mean that lights can even be placed away from the house without worrying about where to plug them in, and are very easy to move if needed.